December 14th- Emily Keener and her band- Cleveland based singer/songwriter Emily Keener is a craftswoman of emotion, and her take on alternative folk is reflective and evocative. Emily will be joined by the members of her newest project: Eli Hanley, Dan Fernandez, and Seth Bain. Ethereal guitar is woven between synth, bass, and percussion supporting Keener’s hauntingly expressive voice. Keener’s latest full length, ‘Breakfast’, (November 2016) followed a successful run on The Voice. 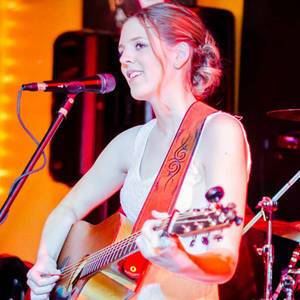 Music Connection called ‘Breakfast’ “warm, pleasant and smart”, deeming Keener “a born communicator.” In 2017, she received No Depression’s Singer/Songwriter Award which earned her a spot on the stage at the Fresh Grass Festival. 2018 finds her writing and recording her upcoming LP. For those of us who have watched the career of this talented young lady, we are thrilled with her progresion and her continued abilty to write the songs that move us. She represents North East Ohio proudly! Joining Emily as support will be for the evening is the incredible Bella Burdella!